HIGH-QUALITY MATERIAL: Made of water proof, eco-friendly, non-toxic durable and sturdy long use cycle polypropylene (PP) Plastic material (nontoxic and nonradioactive), Not easy to break and deformation. CONVENIENT: poly envelope folders with snap button closure to organize important papers, memos, projects, presentations, photos, books, tool, phone, letters and forms at home, office, school, or on the go. DOUBLE TWIST DESIGN: can hole the file bag and do not let file out. LARGE CAPACITY: can easy to storage many files and detailed classification, enough space to store your legal document files, passport , cash, jewelry , photos, laptop and other valuables. 100% RISK-FREE PURCHASE - Do you shopping where you can check the product and make sure you really like it? Your purchase includes a hassle-free 90 days Money Back Guarantee and 1 Year manufacturer warranty. Get yours NOW before we sell out. 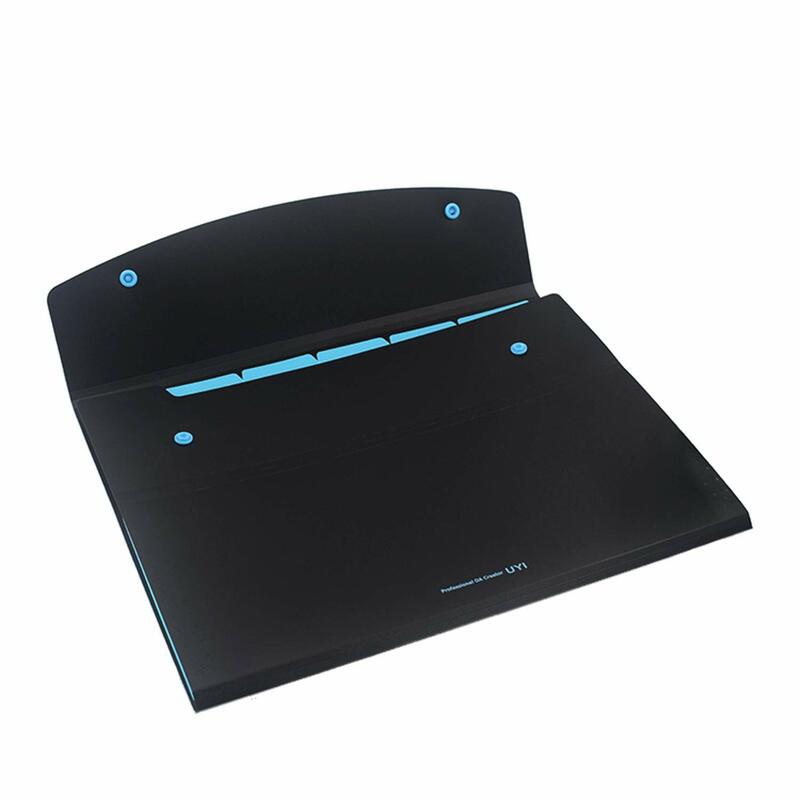 Product description Color:Blackblue+blackgreen We recommend to you this can be quickly classified, and great quality, long-term use of the Portable Folders. ?Do you feel a headache for file, paper, book, contracts too much? ?Do you very distressed when you are looking for a document? ?Do you feel helpless for the quality of the folder? FEATURES: ? Great Gift: a good gift for for home school parents and especially teachers. ? 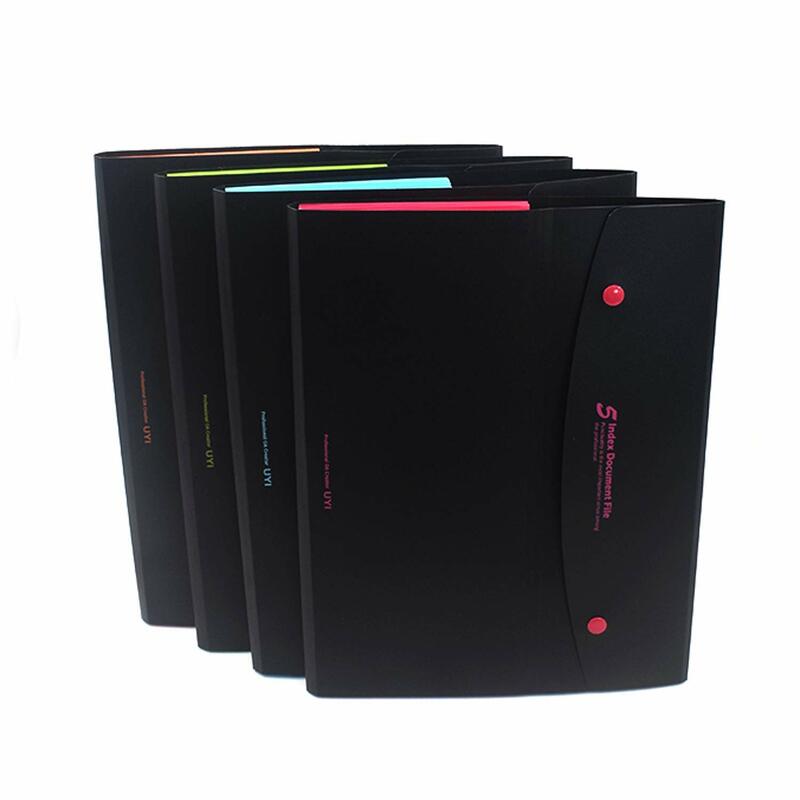 A Portable Folders, made of Plastic , high quality and elegant and waterproof and Non-toxic. ? 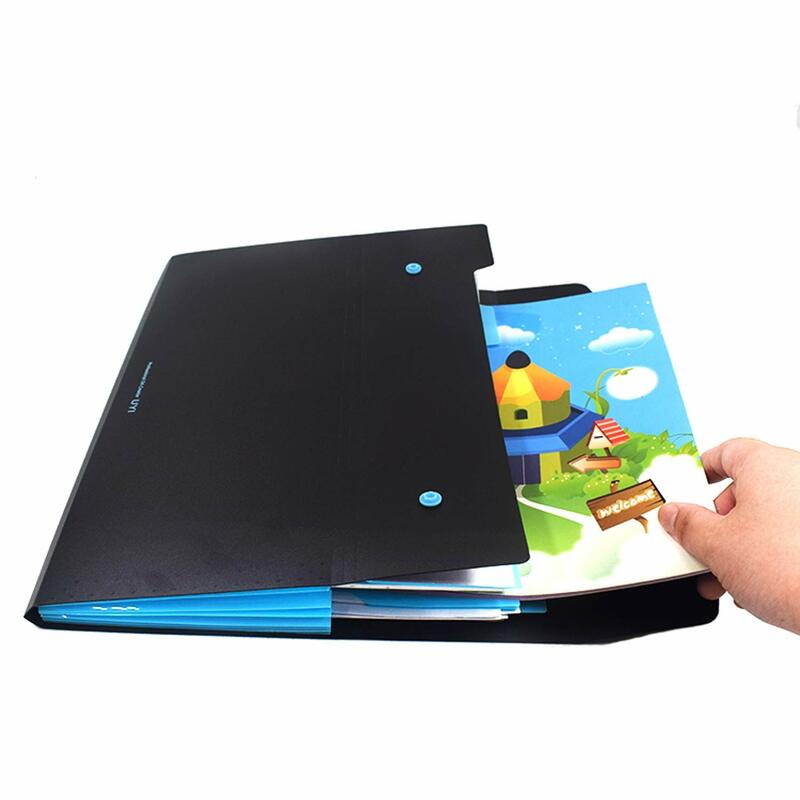 Large capacity Expanding File Folders is your good assistant in your office life. ? Practical and fashion new design, solid and convenient ,organizer file more safe and secure. ? The design of double twist, your file can be carried anywhere. Really good product. I love this folder. A4 size documents can fit in perfectly. It makes me organized. I can find documents easily now. Works really well for my needs. Use it in my laptop to keep my docs sorted. Slim profile works well in the pocket/compartment with my laptop. I love this product! It's super unique looking with the nice colors. It's sturdy and will get the job done. I travel a lot as a CRA and need to carry lots of papers and I always like using things that are at an affordable cost and you can't find at like Walmart or something -- so all in all, this item is perfect and I love it!! It's a miracle! My son has become more organized with putting his homework in the appropriate sleeves. I labeled each one and he is keeping his backpack cleaner. Great for organizing all my papers for 8 classes. I wish it came with little stickers to label the tabs, though. Love how much i can fit in this folder! It's expandable so when i have it full of stuff it expands but when i take stuff out it goes back down so i like that it doesn't get stretchy. I like the colors too! 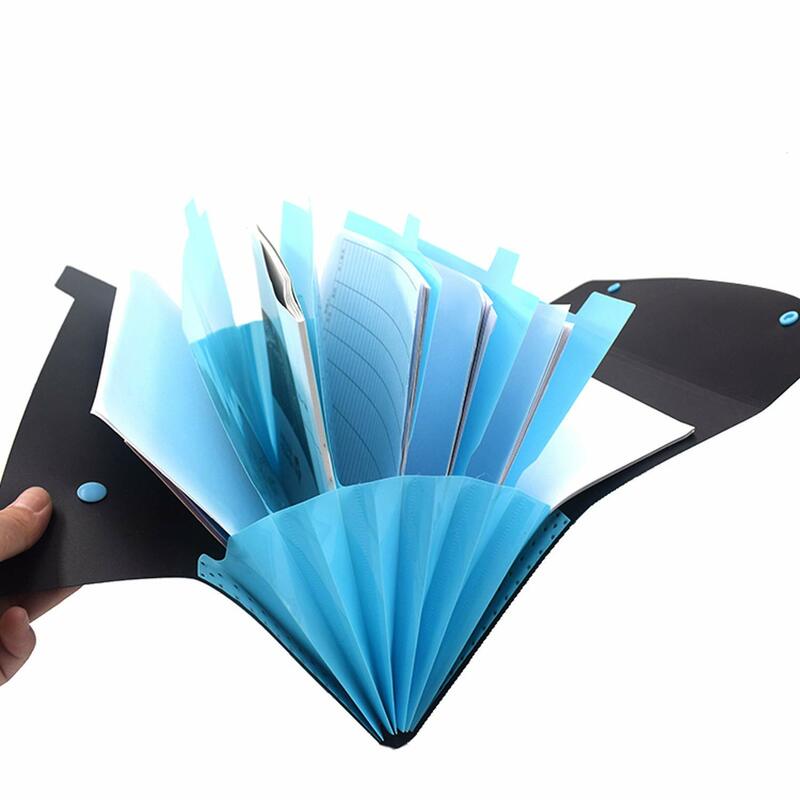 Great design, enough pages to use, my girlfriend used to have to carry multiple folders and often get papercuts on her hand, now she can organize her files all-in-one place and no worry about the cuts.